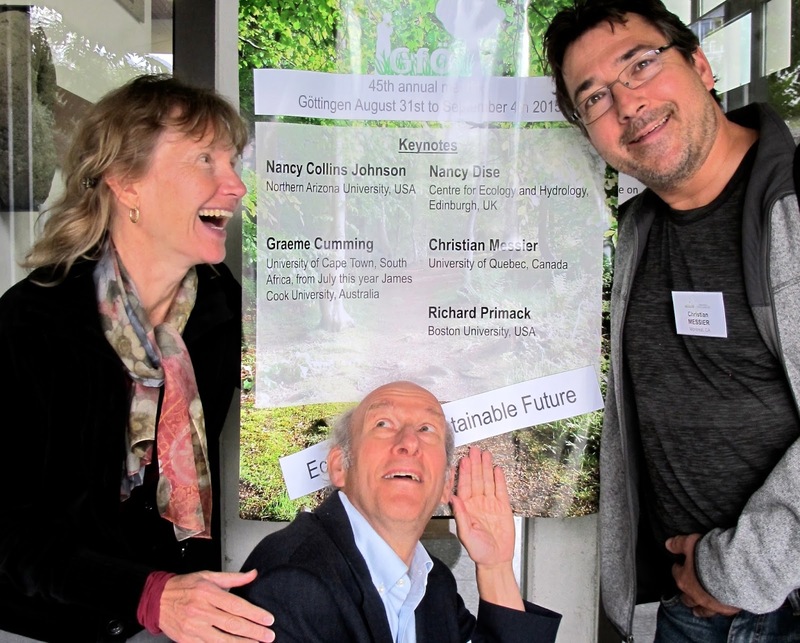 I recently attended the annual conference of the ecological association of Germany, Austria, and Switzerland in Gottingen, Germany. Gottingen is an ancient walled town and home to one of Europe’s oldest and most distinguished universities. I presented one of the keynote talks on “The Hottest Topics in Conservation Biology”. On the last day of the conference, we went on a field trip to Hainich National Park, right in the center of the country, which is the largest continuous stand of deciduous forest in Germany. The stand consists of 16,000 ha (an area equal to about 64 square miles) of hilly beech forest; not very large by USA standards. Outside the forest is predominantly agricultural countryside. Hainich was maintained as a forest because it was a military training area for the East German and Russian armies. A popular feature of the park is an amazing canopy walkway system that is hundreds of yards long and which allows visitors to walk around the top of the forest. 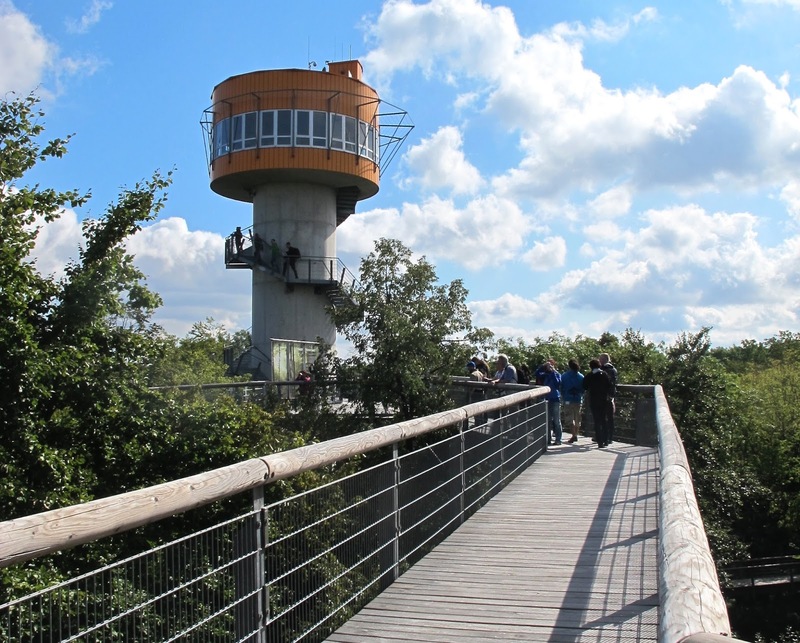 The walkway features a giant tower giving a 360 degree view of the surrounding countryside. Most of the walkway system is very gentle. Recently the park has installed a more challenging set of rope walkways for more adventurous visitors. The park is also home to a large experiment investigating the relationship between the diversity of species, land use intensity, and the ecological functions provided by the environment. 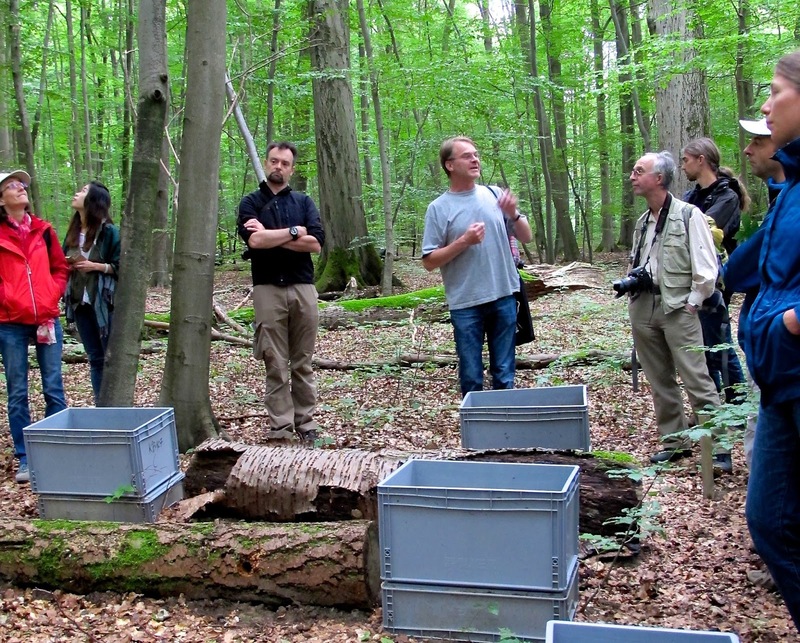 In the photo above, a researcher explains an experiment examining the rate of decay of different log types, the types of insects living in different types of decaying wood, and the rate of carbon dioxide released by the wood (as measured by bags placed over the gray boxes).